Join us this week as we welcome Country music singer songwriter, Sabin Sharpe. Sabin grew up hunting and fishing with his father and family in Swansea, South Carolina, population 827. Sabin, a well-known athlete, played on the 12U State Baseball Championship Team from Lexington, SC. After graduating from high school Sabin joined the U.S. Army and began singing and writing songs. In late 2012 he put a group of musicians together and formed the Sabin Sharpe Band. The band hit the stage running in January of 2013 when they played their first show. Sabin and his band played over 70 shows that first year out and never looked back. Sabin and his band have played some of the biggest venues in South Carolina, North Carolina, Georgia, and California, including NASCAR’s Darlington Raceway, and the upper deck @ George Jones Museum in Nashville. In November 2014 Sabin received the Founders Award for ‘Best New Artist’ from the Charlotte Music Association in LA California! 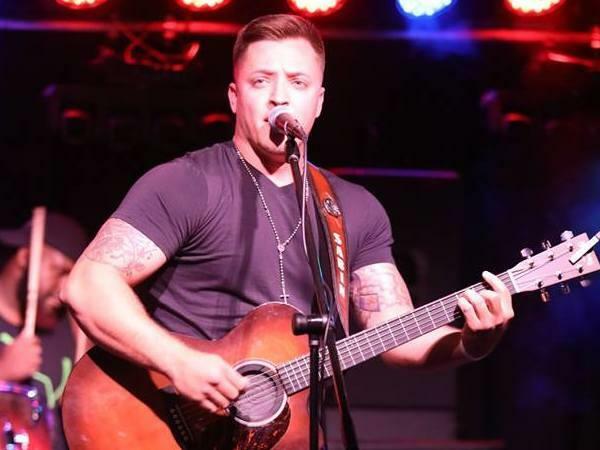 Sabin continued touring in 2015 and saw his song “Country Girl Can Survive” entered for Grammy consideration. He released his first ‘self penned’ EP in March of 2016 featuring the title song “Start A Fire”. His first single “Empty Bottle” was written from personal experience and is Sabin’s favorite song yet. And he’s opening for bigger acts; Tracy Lawrence, Dylan Scott, Josh Thompson and Colt Ford to name a few. Sabin just recently released his latest new single "The Story of You and Me". We will talk to Sabin about his upcoming schedule, get a behind the scenes look at his music, feature his latest songs, and ask him to share his message for the troops. Please be sure to visit Sabin Sharpe at https://www.sabinsharpemusic.com/ and spread the word. Our message to the troops: WE do what we do, because YOU do what you do.